The rugged and robust DCM-300 modem provides wireless 3G connectivity for Connected Farm™ solutions. It enables reliable access to Trimble® CenterPoint™ VRS™ corrections, Trimble CenterPoint™ RTX™ corrections as well as other 3rd party network RTK solutions. The modem can be used with Connected Farm for wireless data transfer between the office and field and vehicle to vehicle – allowing quicker access to data. Compatible with most brands of equipment, the modem can also capture real-time fleet positions, public CAN messages, and fleet productivity information. The DCM-300 is available with either EV-DO Rev A or a global ready HSDPA/UMTS network technology which support popular cellular networks such as Verizon and AT&T. 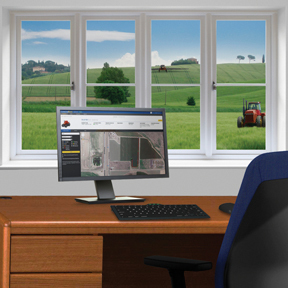 Fleet Manager, part of Trimble’s Connected Farm™ solution, lets you track fleet locations and manage valuable information from the office or any location with internet access. Managers are able to transform their fleet performance by viewing time spent idling, moving, and traveling as well as delay reasons. Not only does this reduce the amount of fuel used, it also increases the amount of time vehicles are in productive use. By using Fleet Manager, you can maximize vehicle utilization and lower operational costs throughout your organization ensuring optimized fleet performance and ultimately, a better bottom line. 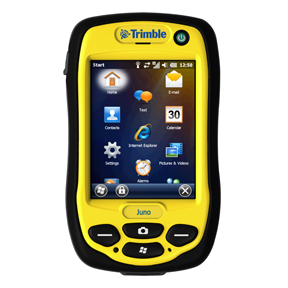 The Trimble® Juno® 3 handheld computer is an economical solution that includes an integrated GPS, digital camera, and optional cellular connectivity. Install the Farm Works™ Mobile software (sold separately) on the Juno to calculate field acreage, locate soil sample points by grid or zone, scout for pests or problem areas, or to collect important field records. 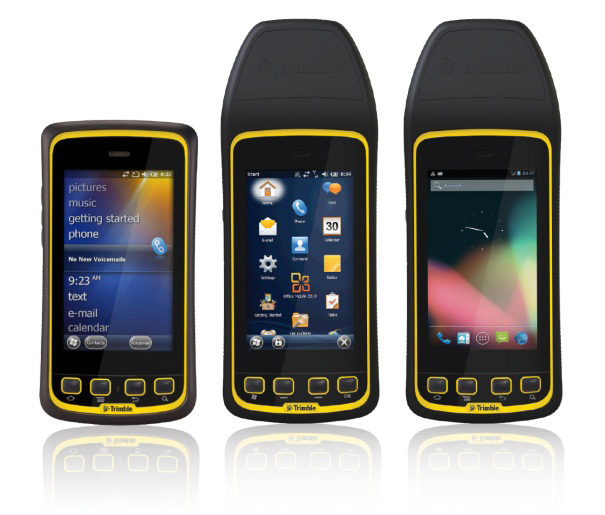 The Trimble® Juno® T41™ handheld computer provides a rugged solution that includes an integrated GPS receiver, digital camera, and optional cellular connectivity. 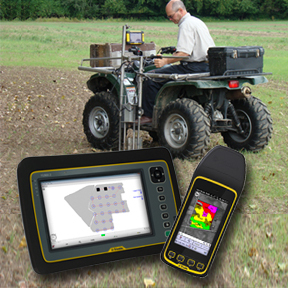 Install the Farm Works™ Mobile software (sold separately) on the Juno T41 to calculate field acreage, locate soil sample points by grid or zone, scout for pests or problem areas, or to perform variable rate application. 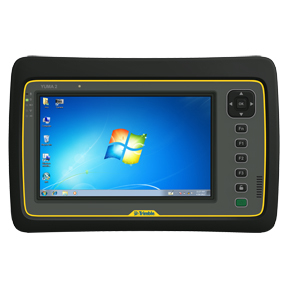 The Trimble® Yuma® 2 tablet computer provides a rugged solution that includes an integrated GPS receiver, digital camera, and a large 7 inch capacitive multi-touch screen. Install the Farm Works™ Mobile software (sold separately) on the Yuma 2 to calculate field acreage, locate soil sample points by grid or zone, scout for pests or problem areas, or to perform variable rate application. Farm Works™ Mobile allows you to collect information from the field and sync with your desktop software program so that critical decisions can be made about your operation. Mobile is designed for both farmers and service providers and installs on any field computer with Windows Mobile®, Windows® XP, 7, or 8.